I love me some Target shopping. I also love to show people that Whole30 can be done even if you don’t have access to specialty stores. 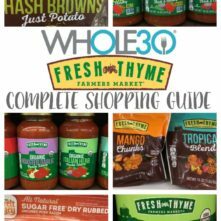 There’s so many options for Target Whole30 foods! Especially now, more and more compliant options can be found in the average grocery store. It’s SO exciting to me, and I hope it makes doing a Whole30 feel easier and more realistic for you knowing you can get ALL OF THESE THINGS at Target! Might I add that I took all of these photos at the FIRST Target store EVER?! Proud Minnesotan right here. Whole30 Target protein options are expanding what seems like weekly. 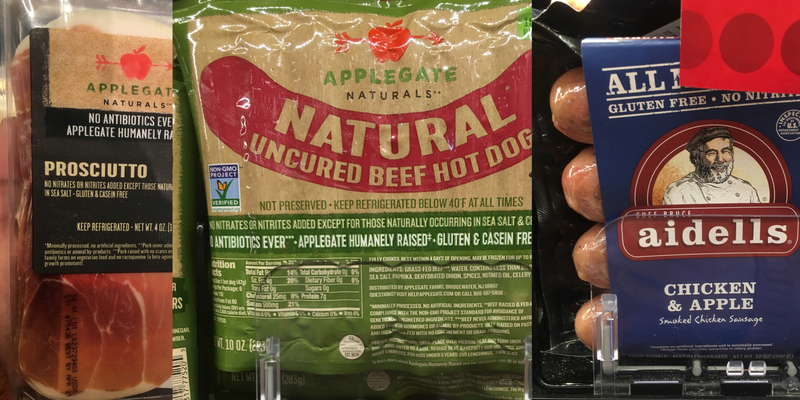 They offer a few different types of compliant hot dogs, chicken and apple sausages, and compliant prosciutto. They also have Whole30 compliant roast beef lunch meat! 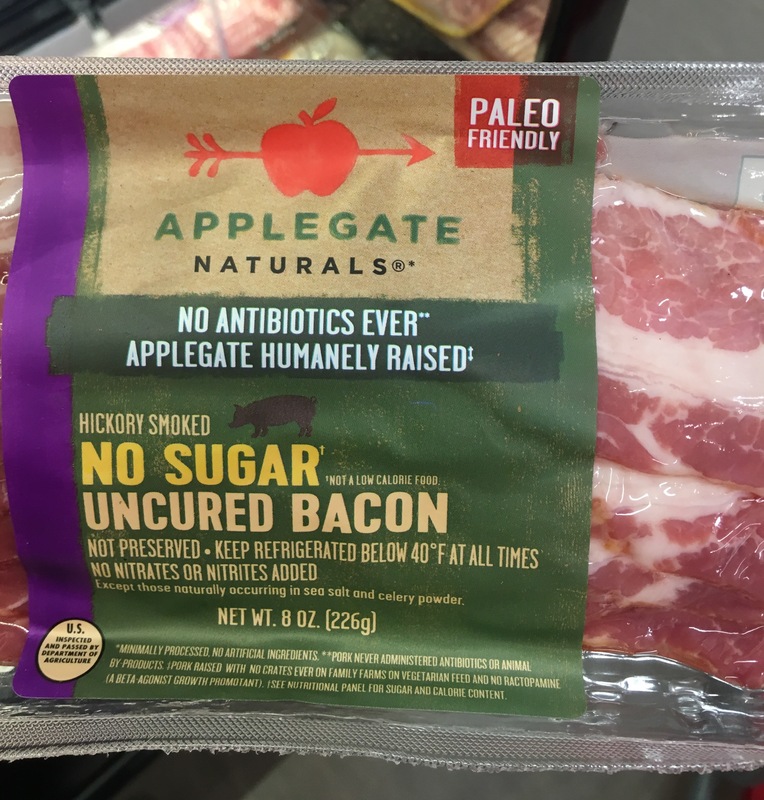 Applegate is now a Whole30 Approved partner, and Target now has Whole30 Approved no sugar bacon! You’ll also find a really great selection of frozen chicken breasts, and fresh meats. Target Whole30 shopping is almost a one-stop-shop now with grass-fed ground beef options, ground pork for breakfast skillets, chicken wings, beef and pork roasts and tenderloins. 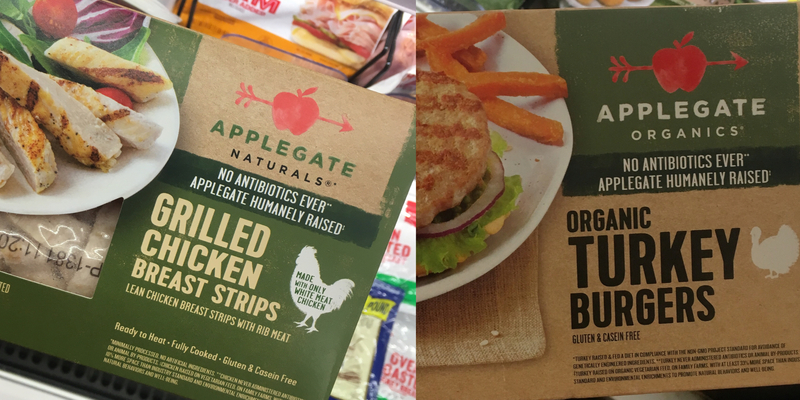 Along with the Whole30 Approved bacon at Target, you’ll also find Whole30 Approved grilled chicken breast strips and turkey burgers. 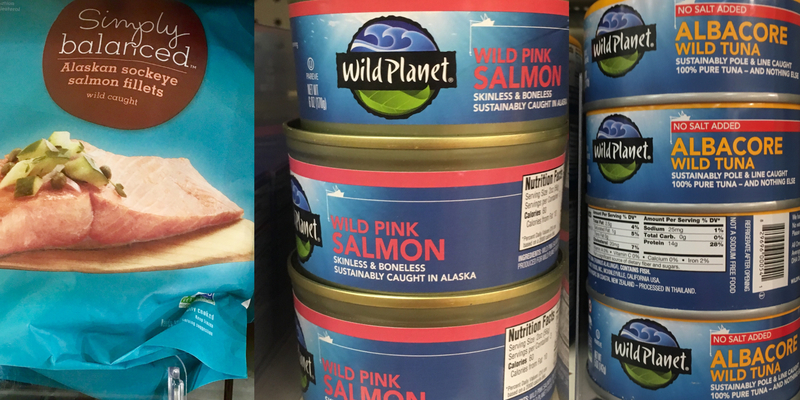 There’s a good selection of Whole30 compliant seafood products at Target, including canned tuna and salmon. You’ll also be able to grab frozen salmon, shrimp, mahi-mahi, and flounder. They have fresh crab, scallops, salmon and shrimp to put in the cart as well. 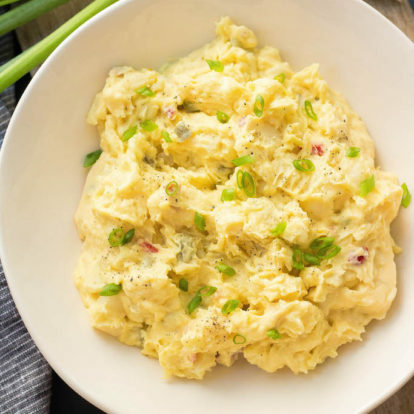 More Whole30 Target protein includes the organic and pasture raised eggs, along with already eggs that are already hardboiled. 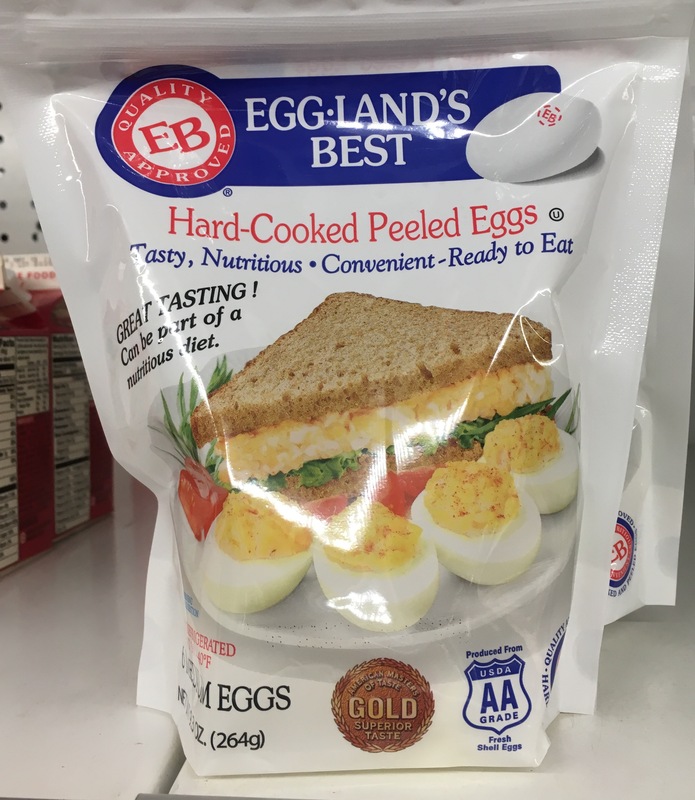 The only ingredients in the pre-hard cooked eggs is just, you guessed it, eggs. Good job, Target. Target has quite a few Whole30 compliant drink options. From bottled tea and bags of tea, to dozens of coffees, and bottled water. 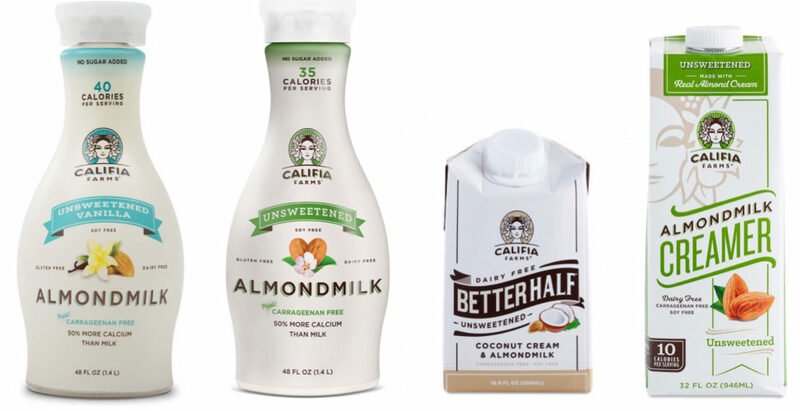 They’ve expanded their options for Whole30 compliant almond and coconut milks, too. 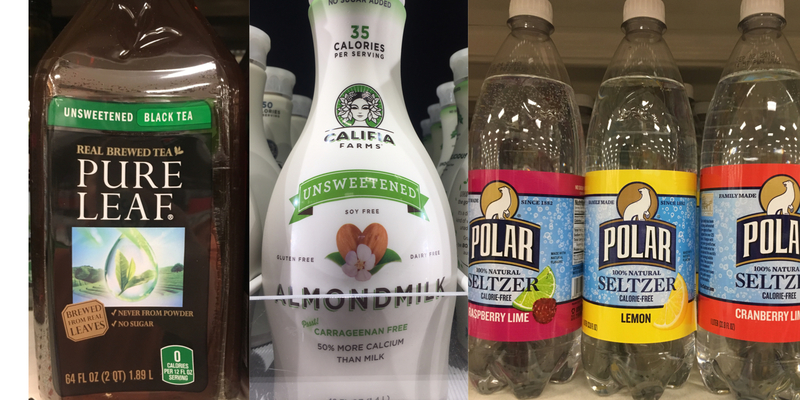 You’ll find a few options in the fridge section, and a few compliant almond and coconut milks that are in boxed containers. Silk, Blue Diamond, and SO Delicious is carried by Target, along with Califia Farms. 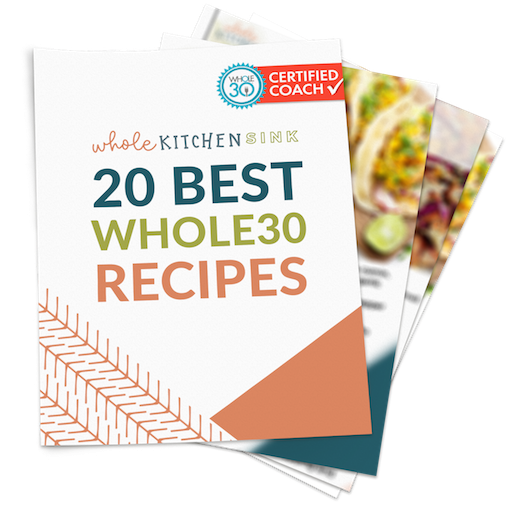 To see specifically which almond milk is Whole30, check out the complete list of Whole30 Compliant Almond Milk. There’s no shortage of water, sparkling or otherwise, for Target Whole30 options. My favorite is Polar water, which you can get in cans or bottles. They have La Croix, Target Brand, Pellegrino, Dasani, Bubly, and more. 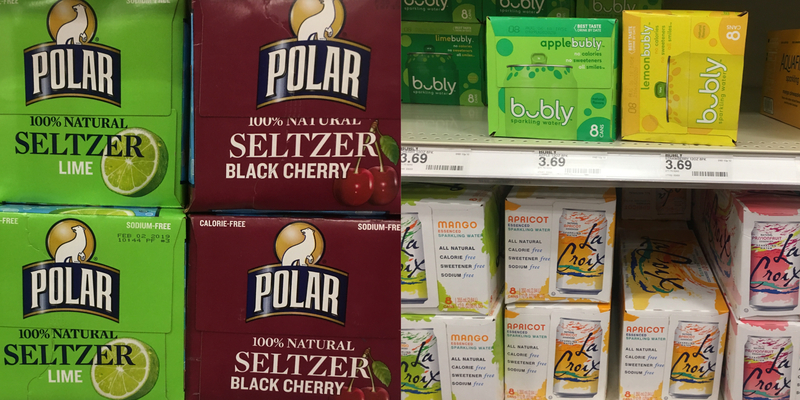 You can also now get kombucha at Target, too. 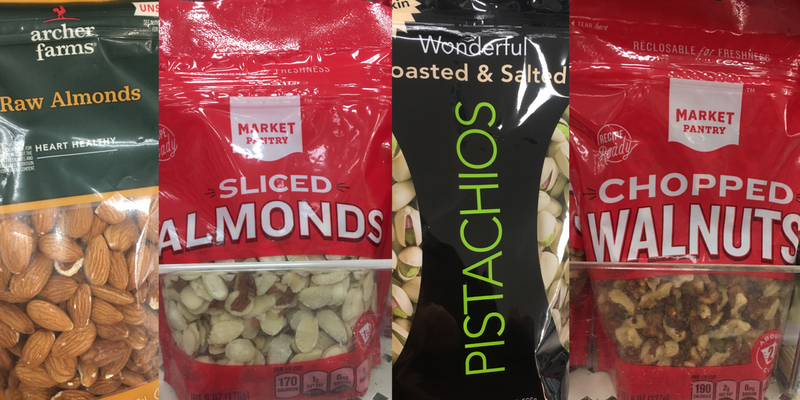 Lots, and lots of nuts at Target these days. I remember back when I did my first Whole30, I could hardly find any that weren’t made with junky oils or additives. Now you can find basically any type you want, in every form. Sliced, slivered, chopped, whole, crushed, you name it. You can get macadamia nuts, almonds, cashews, walnuts, pecans and pistachios. 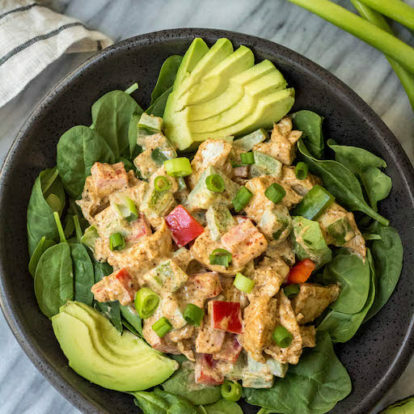 Other healthy fats and pantry items you’ll find at Target during your Whole30 include olives, pickles, Wholly Guacamole individual packs, Target brand fresh guacamole, and sun dried tomatoes in olive oil. Kerrygold is the number one thing you need to make your own ghee, but if you don’t feel like making your own, no biggie. 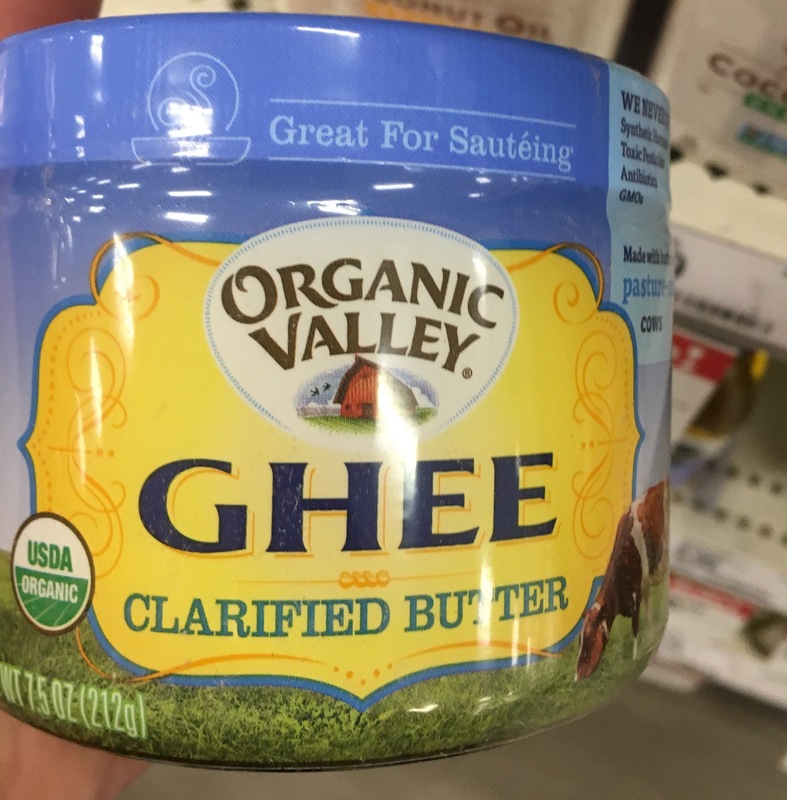 Target has you covered and sells ghee! 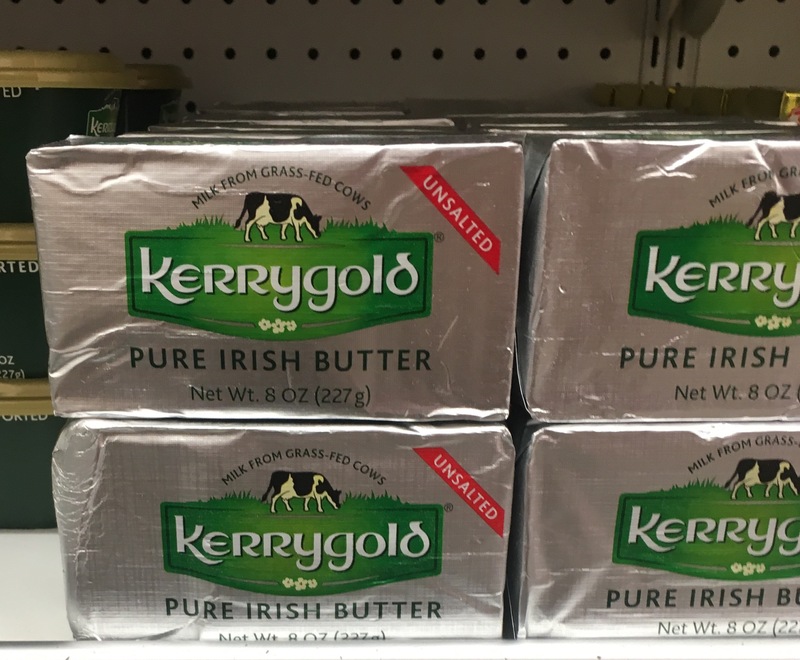 You’ll find the Kerrygold by the butter, and the jars of ghee by the oils. Target has basically every type of oil and vinegar you could possibly ever need. White wine vinegar, red wine vinegar, apple cider vinegar, balsamic vinegar.. it’s all there! When buying vinegar, make sure to check the label, as some that Target carries as added sulfites. Naturally occurring are fine, but make sure to check! 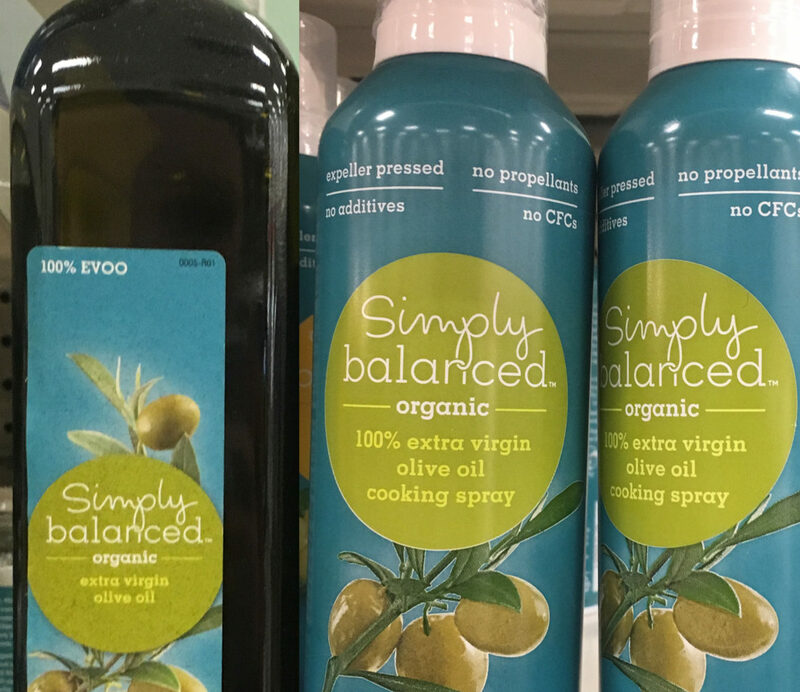 Target also has coconut oil, avocado oil, olive oil, extra virgin olive oil, sesame oil and offer lots of them in spray cans now as well. Score. You’ll also find some compliant chicken broth at Target. However, I have yet to be able to pick up any Whole30 compliant beef broth at Target. Pacific foods is the brand you’ll want to look for when it comes to chicken broth. 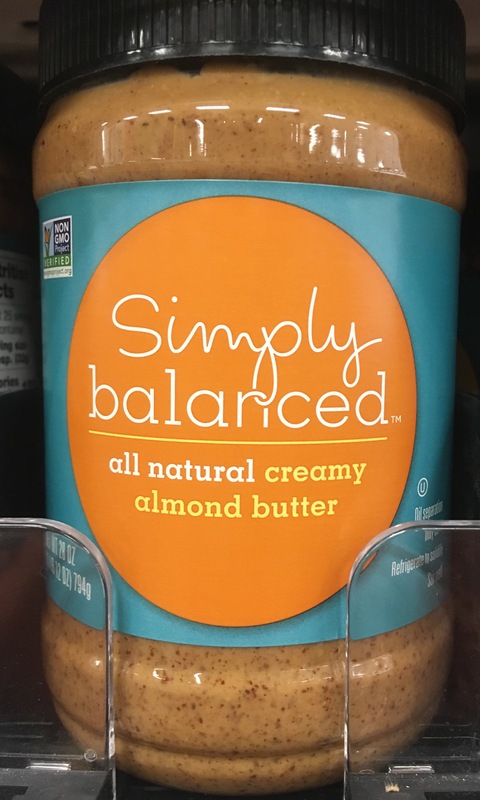 Target has it’s own brand of almond butter and cashew butter that’s Whole30 compliant. However you can also find Barney Butter, Wild Friends, and Justin’s almond butter and cashew butter too. Target sells the individual packets of Justin’s almond butter, which is a great option to keep around for easy or on-the-go snacks or emergency foods. Some pantry staples to keep around can be found at Target. Target has a few Whole30 mustard options like the classic yellow mustard, and dijon. 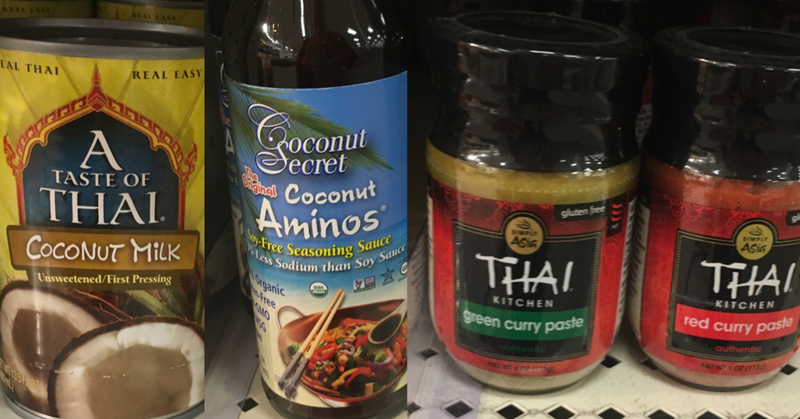 The Target Brand Market Pantry offers compliant options, as well as Annie’s. Frank’s Red Hot Original, Cholula, and Tabasco are all Whole30 compliant and can be picked up at Target, too. I get a lot of my canned goods at Target. Including tomato paste, tomato sauce, diced tomatoes, and stewed tomatoes. They have more than a few types of compliant salsa, which I use for taco salads or on omelettes. I keep some diced green chilis on hand, along with the other canned veggies for the days when need an easy dinner. Lots of Whole30 sauce options at Target! Rao’s Homemade marinara sauce and Arrabbita sauce is compliant. 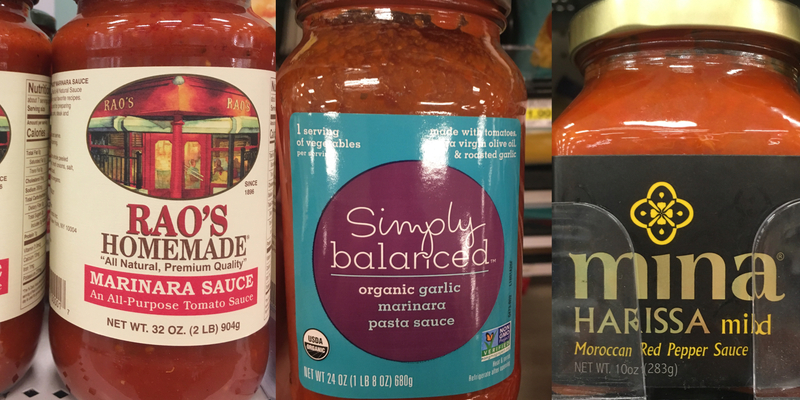 Target’s Simply Balanced brand garlic marinara, and Muir Glen have compliant marinaras as well. Mina brand has two types of compliant Harissa sauce, a mild and spicy version. No longer do you have to make a special trip or order online to get coconut aminos! This Whole30 compliant soy sauce substitute is easily accessible at Target. 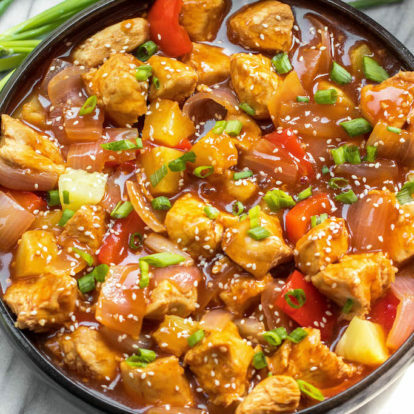 Along with coconut milk, and both green and red curry paste, everything you need for Asian Whole30 meals is in one place. 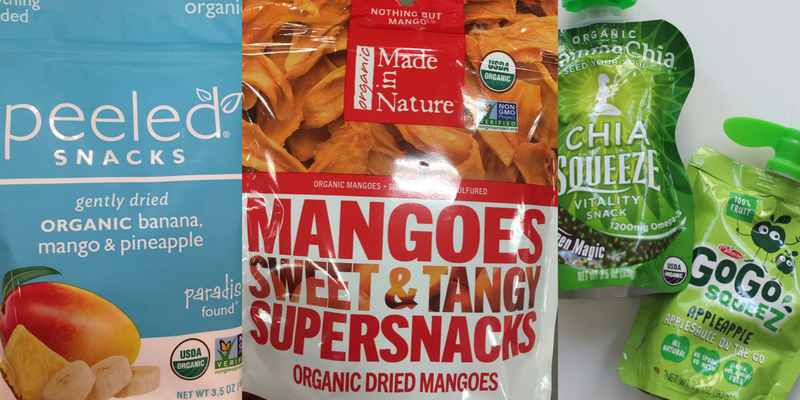 Go-Go Squeeze offers a variety of portable applesauce flavors, MammaChia makes delicious Whole30 compliant chia seed snacks, Made in Nature and Peeled both have dried fruit options. All of these brands only include just the fruit in their ingredients. There is no shortage of Larabar flavors that are Whole30 at Target. Make sure to read the labels, as not all of them are. You can usually score these on sale using the Target Cartwheel app, too! 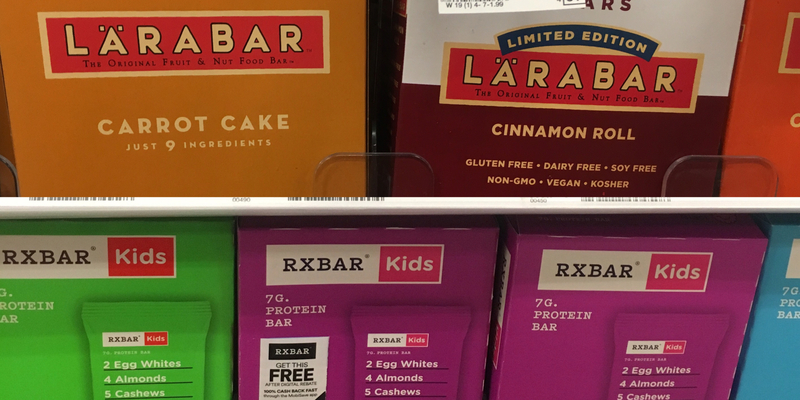 RXBAR is now found in Target stores. You can buy both the original flavors like blueberry, mixed berry and coconut chocolate, along with the kid flavors that are good for adults too. They sell them individually, or in bulk packages. 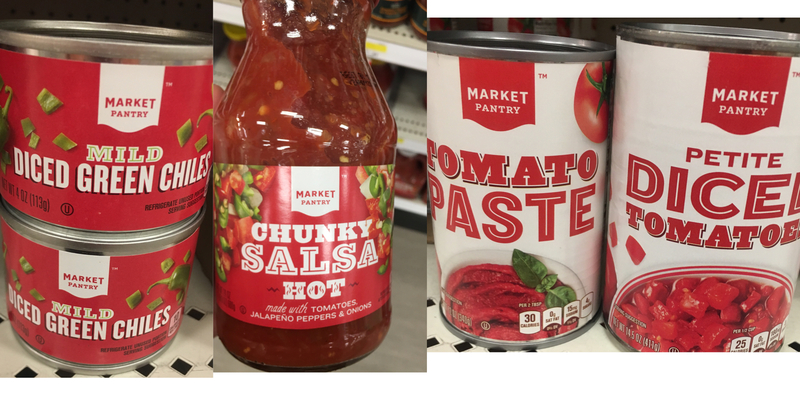 Target has tons and tons of frozen vegetables under their Market Pantry brand that are Whole30 compliant, and contain nothing but the vegetable themselves. From butternut squash, frozen cauliflower, sweet potatoes, stir fry veggies, it’s all there, and all inexpensive! Pssst.. Target has a bunch of Market Pantry frozen fruits that are Whole30 compliant too! Remember in the Whole30 Dark Ages when we had to rice our own cauliflower and veggies? PRAISE BE those days are gone. I will gladly pay a tiny bit extra for this convenience. 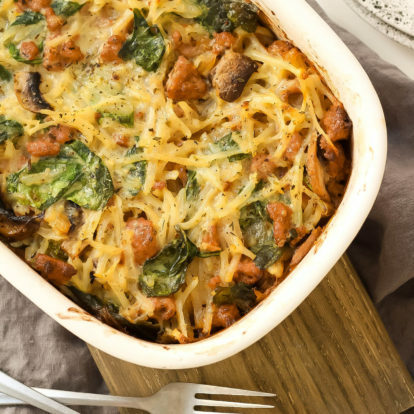 It’s especially helpful to grab an extra to keep in the freezer for busy weeknight meals. Target Whole30 options for rice veggies include sweet potato, cauliflower and broccoli. 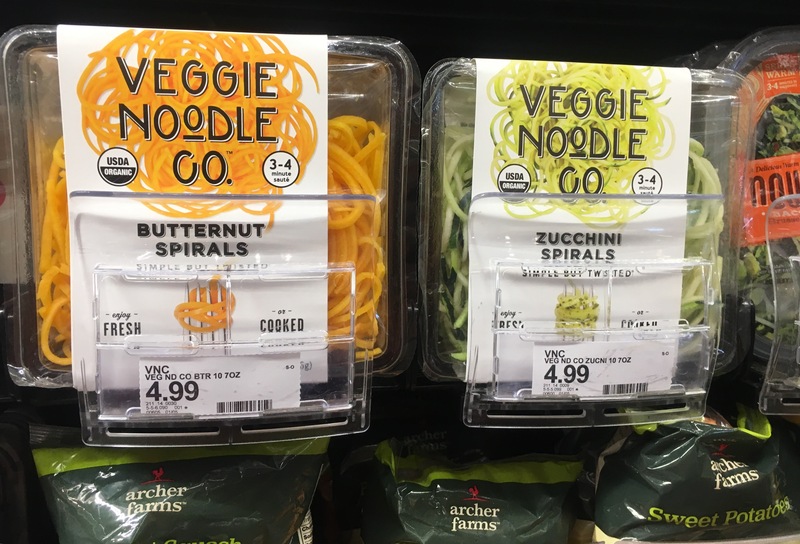 Veggie Noodle Co. noodles are a Target Whole30 find that can make life a little easier too. It’s much cheaper to do this yourself, but if you’re in a hurry, or have yet to pull the trigger on getting your own spiralizer, these are great options. Of course you can get all of these vegetables from Target and chop them yourself, sometimes it’s nice to have someone do the work for ya. 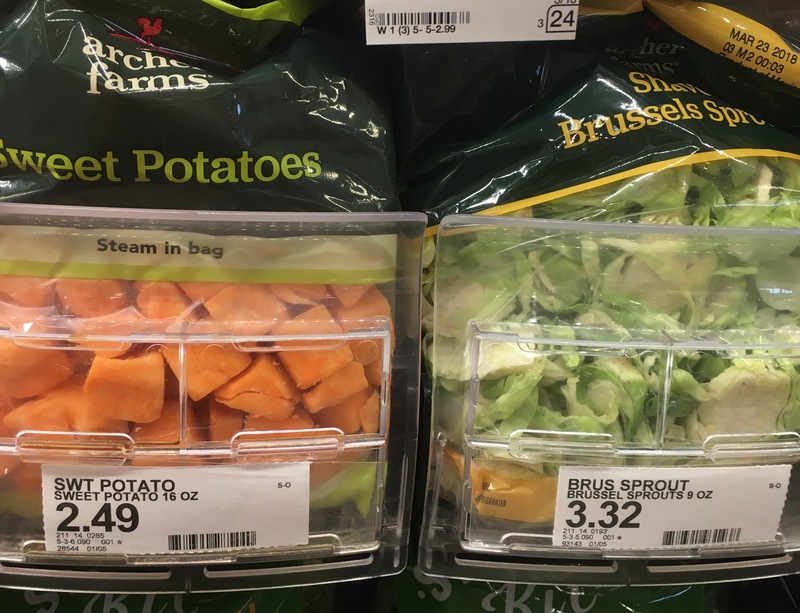 Target’s Archer Farms brand has bags of diced sweet potatoes, butternut squash, broccoli and cauliflower florets, shaved Brussels sprouts, shredded carrots, and more, that you don’t have to peel, chop, dice. Open the bag and you’re ready to cook. They also have bags of fresh cauliflower rice if you prefer that over frozen! 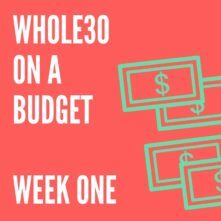 I hope this list was helpful in showing you that you can do a Whole30 even if you don’t have a Whole Foods nearby, or a Costco membership (hi! That’s me!). 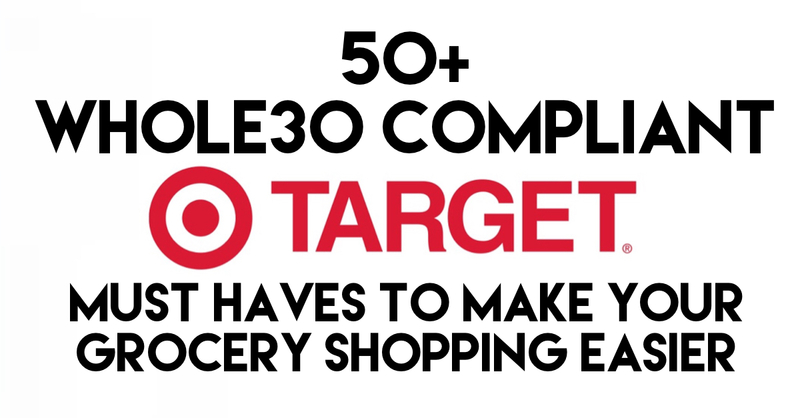 There’s plenty of awesome options for your round of Whole30 at Target! 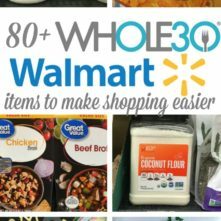 Check out my Whole30 Trader Joe’s List, and my Thrive Market Whole30 Staples! 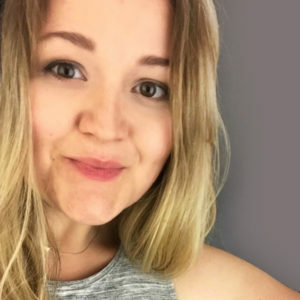 Honestly, Bailey, you put together THE BEST Whole30 compliant store lists! Thank you so much! I love Target too and had no idea they carried cashew butter or so many varieties of riced veggies. Looking forward to loading up my cart next time I am there! I’m so glad it’s helpful! Good luck with your Whole30!! THANK YOU! You are so thorough in everything you do and it’s noticed and appreciated. YOU get me through my Whole30s! 1. 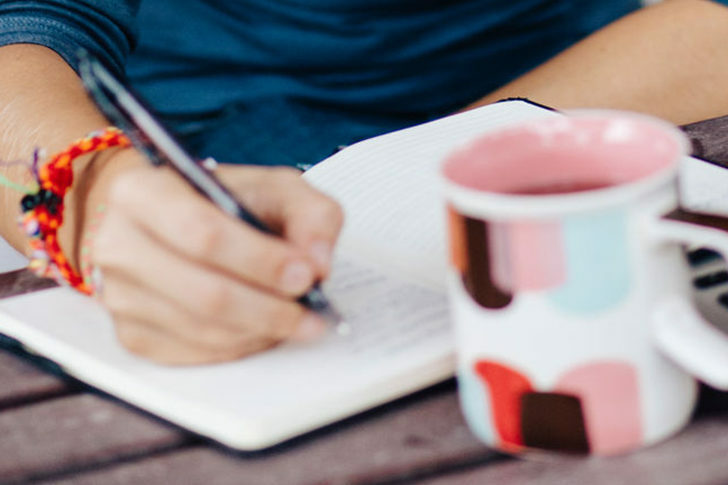 This list is a Godsend!! I. Love. Target. 3. I had no idea Target made it so easy. This will be my first time doing this and I was nervous I was going to have to visit Whole Foods or Fresh Market, and nowhere else. I’m not used to those places, so it made me nervous. But thanks to your incredible list, I’m ready to tackle my first whole 30 (I think). Hi Bailey… I just want to say thank you for sharing your wonderful story with us. 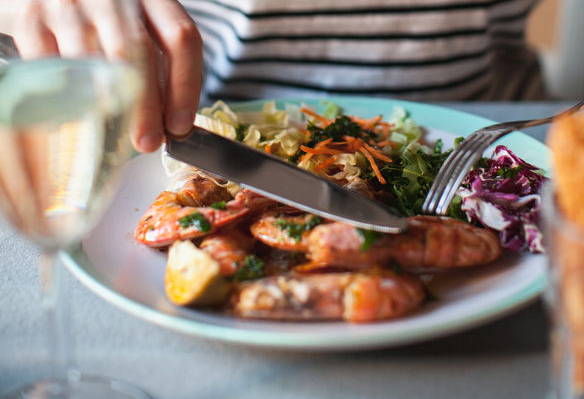 I tried the whole30 after reading your story and I actually fell in love with it. 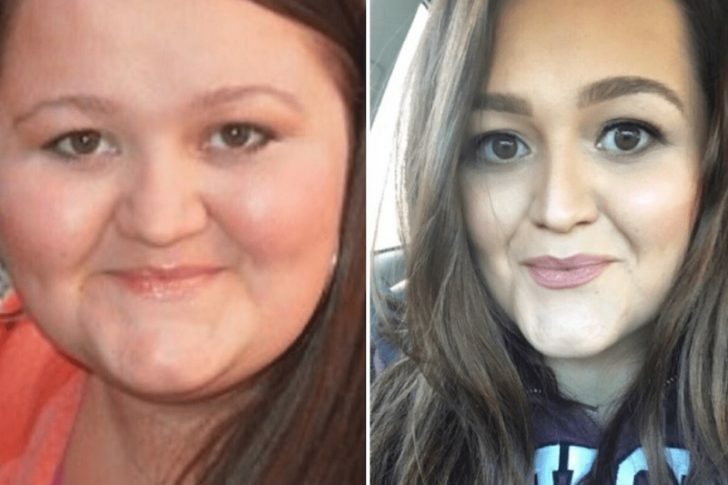 I was in the last semester of my nursing program and I was just tired of feeling bloated, painful when awakening in the mornings and gaining weight. Having parents and siblings who were morbidly obese, I knew/know I couldn’t be or live that way. My first month went great, took time to get used to cooking all the time with my schedule, but the food was awesome!! Then my wedding anniversary came and my hubby and I enjoyed a weekend getaway where I did indulge a little. Since then I’ve found it difficult to go back to that wonderful way of eating and living and then staying on it for the whole 30 days ????. Now the aches, bloating, weight gain etc are back and I know what I need to do, but how is my question? How do I return and stay without sabotaging myself, or allowing my family to sabotaging me? And then as a behavioral health nurse I find that my time is presious to me to just relax or read. Any suggestions? ?